In bottom of 6-cup ring mold, scatter most of candy worms. Pour fruit punch over candy, filling to within 1 inch of top (candy worms will float to top). Place remaining candy worms over edge of mold. Freeze 5 to 6 hours or until solid. Just before serving, in 3-quart or larger punch bowl, mix both carbonated beverages and thawed juice concentrate. Dip outside of ring mold in hot water until ice ring is loosened. 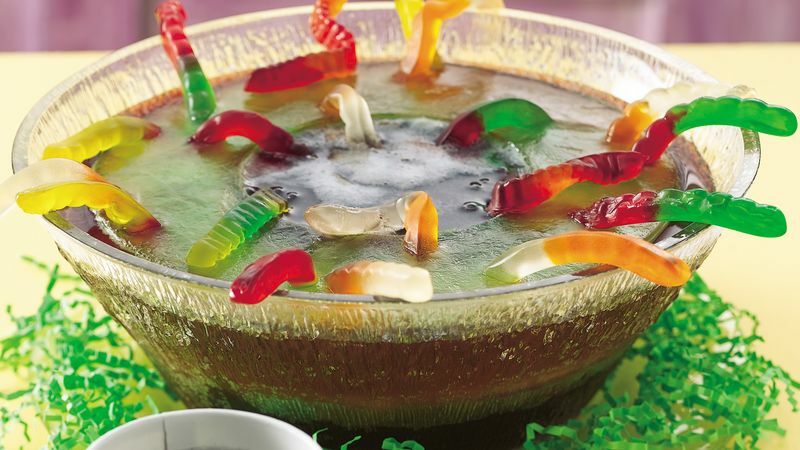 Remove ice ring; place in punch so gummy worms are visible. To get a head start, make the ice ring up to a week before your party. Refrigerate carbonated beverages the morning of the party so they're cold when you prepare the punch.